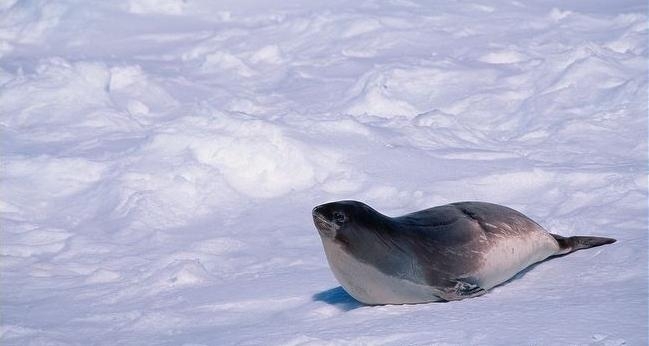 Ross Seals are unique in that they are the only Antarctic seal whose range is restricted to the Antarctic seas and they have never been documented in extra-polar regions. 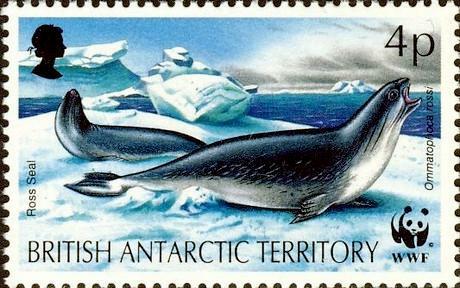 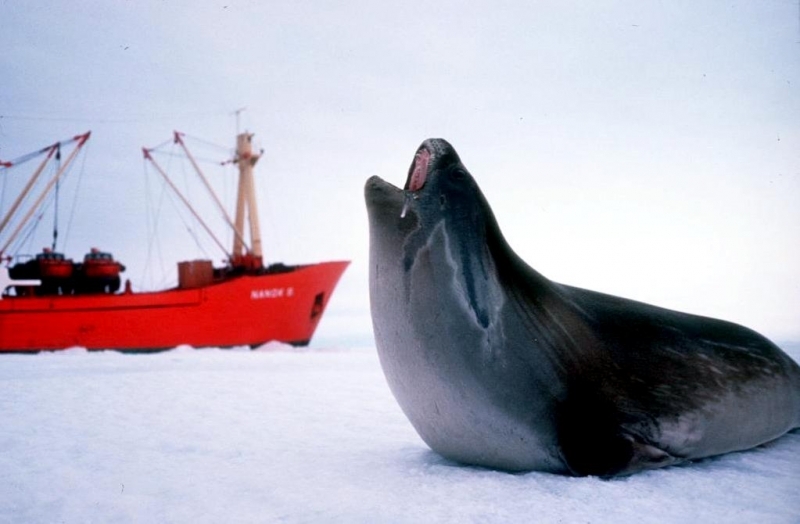 Ross Seals are named for Commander James Clark Ross of the H.M.S. 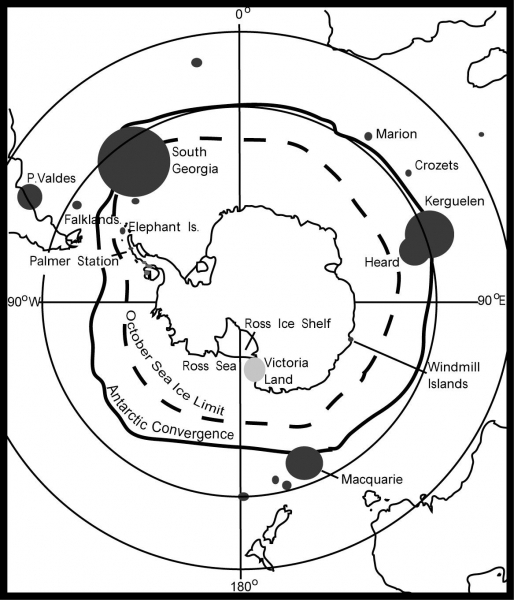 Erebus, a British exploration ship that entered the Ross Sea during a period of Antarctic exploration from 1839 to 1843. 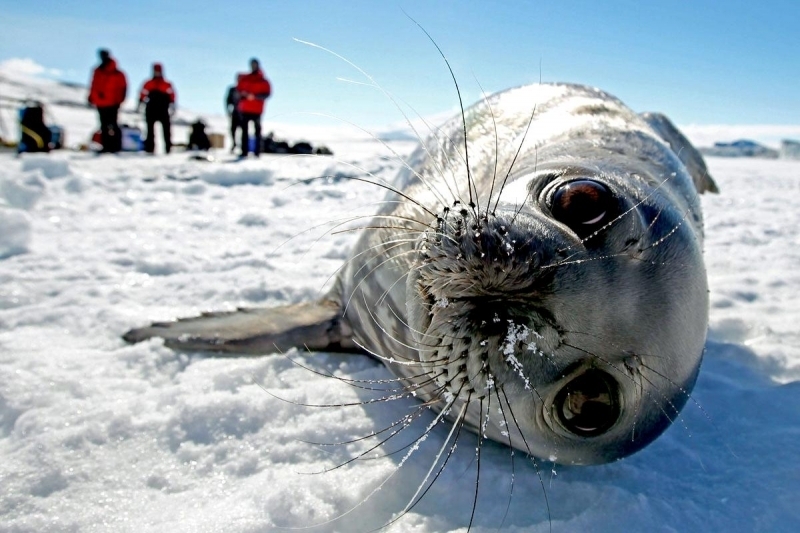 These seals are circumpolar with most individuals found on the pack ice off the shores of Antarctica, with their range extending no farther than 60°S latitude. 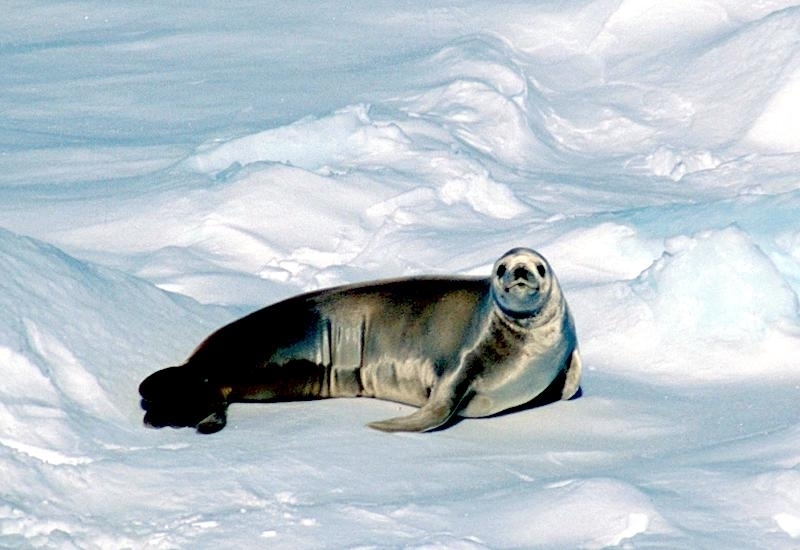 Ross Seals are associated with areas of medium to dense pack ice. 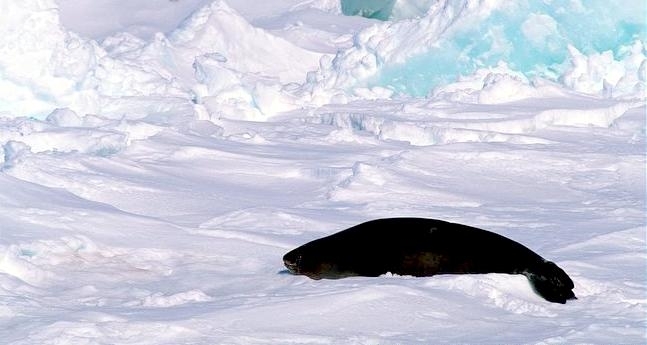 The areas in which they dwell are often remote & hard to navigate. 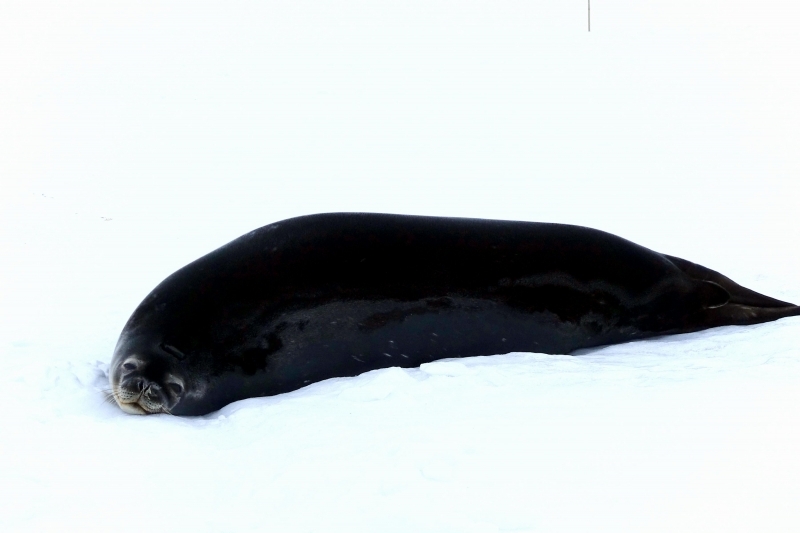 This leads to a lack of information about the specific habitats they are prone to utilize. 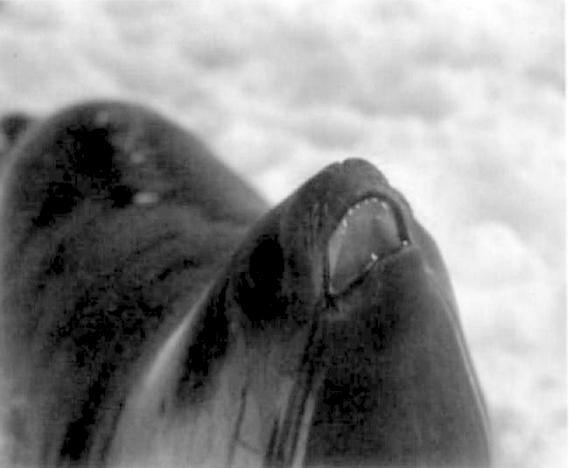 Observational accounts recorded in make an initial attempt to determine specific habitat use, however data remain vague & anecdotal. 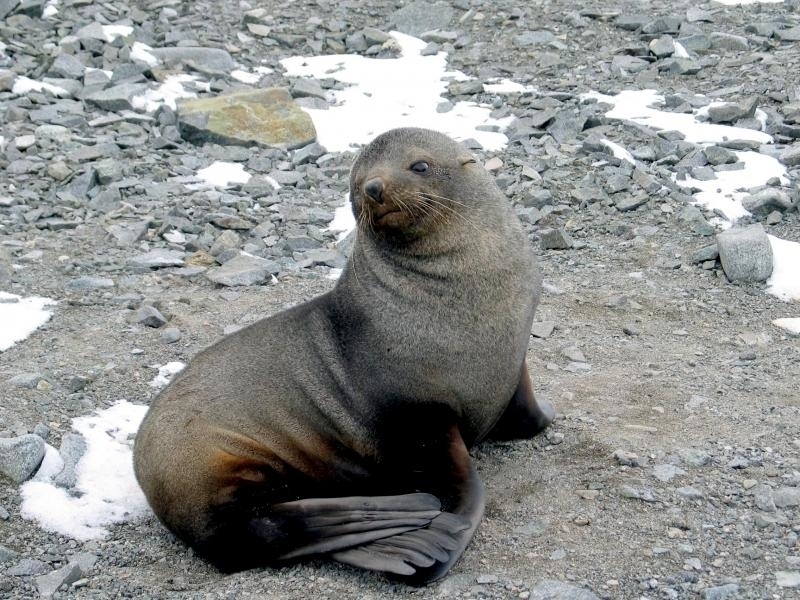 Ross Seals are the smallest seals of the Antarctic region, with a thick neck and a slender body. 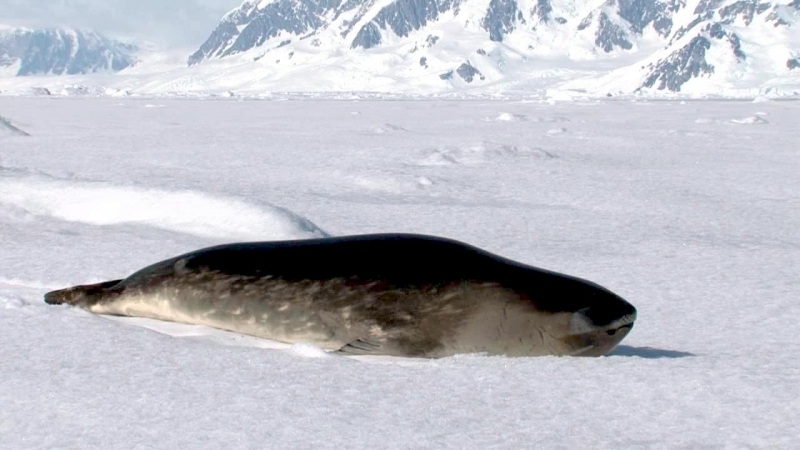 Members of this species have short body hairs, with the shortest hair & vibrissae of any phocid. 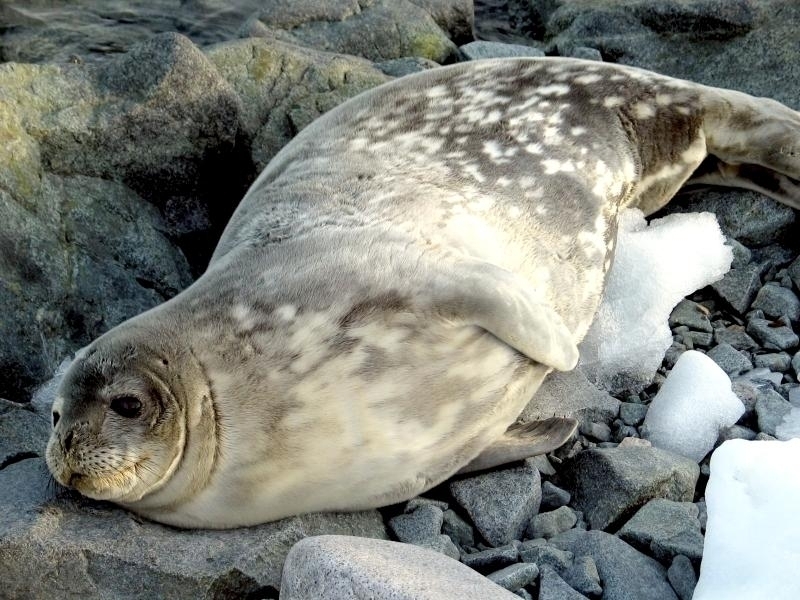 They are dark brown on their dorsal surface and their ventral surface is silvery; spots & streaks frequently mark the head, neck and flank. 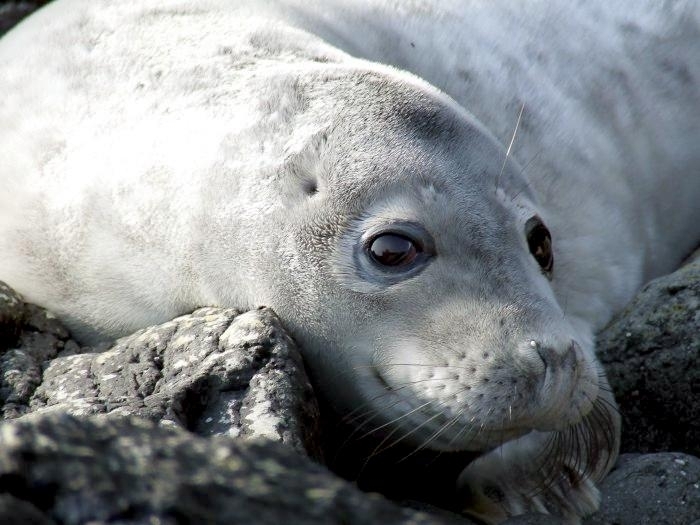 During the summer, un-molted seals are tan to brownish with molt occurring in January. 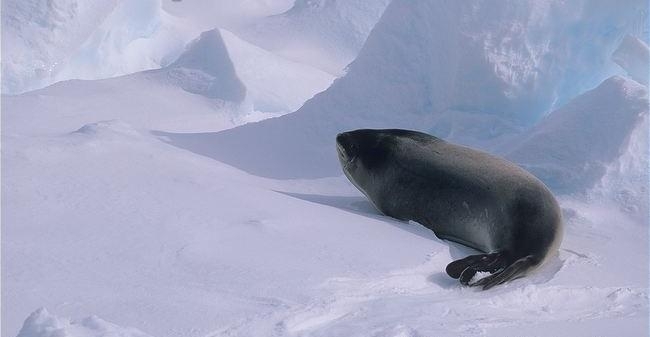 Males average smaller than females from 168-208 centimeters long and weighting 129-216 kilograms. 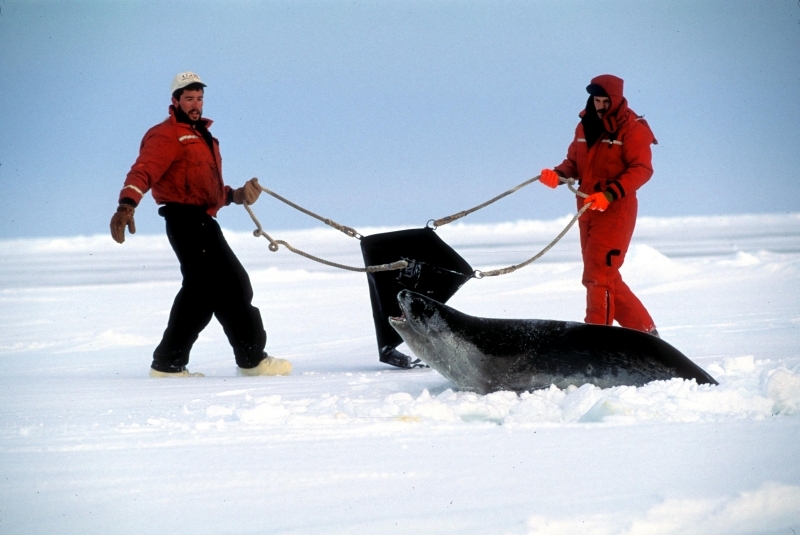 Females measure from 190-250 centimeters long and weigh between 159-204 kilograms. 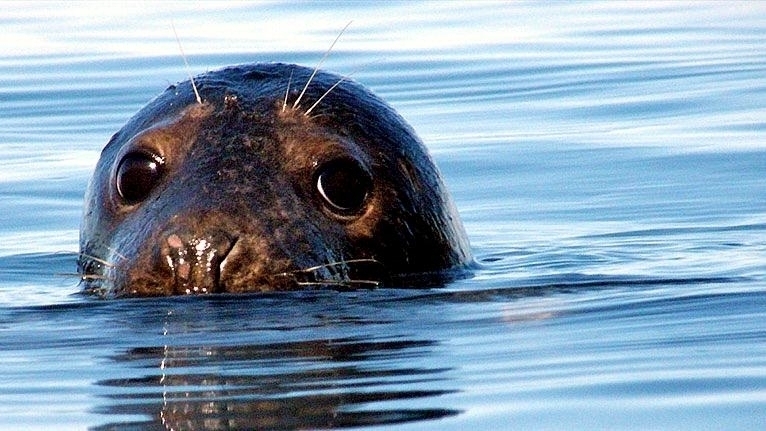 Ross Seals can easily be distinguished from closely related seals by their disproportionately large eyes (70 millimeters in diameter). 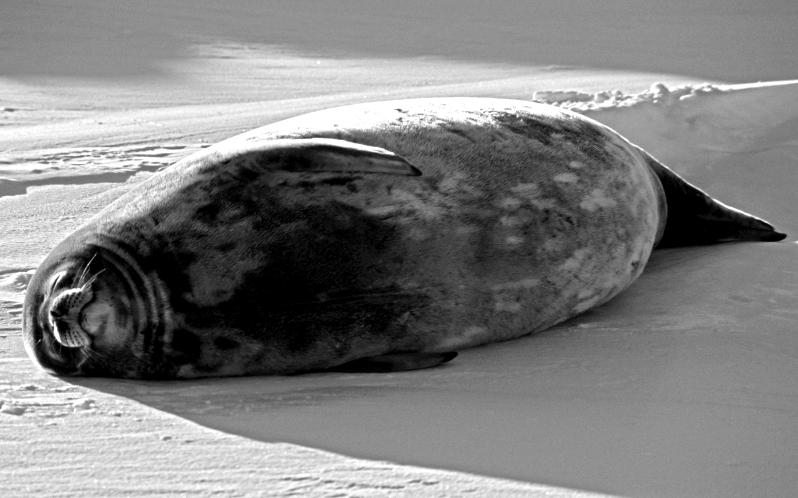 The large eye sockets in the skull are a good character by which a Ross seal can be identified. 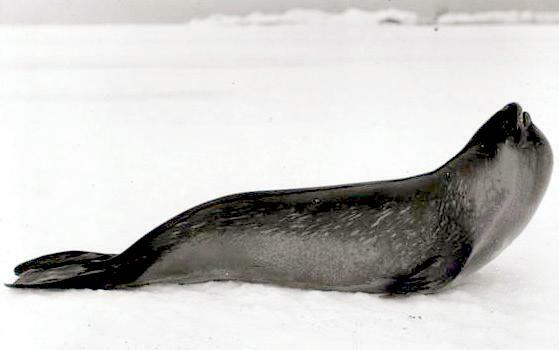 Little is known about mating in Ross Seals. 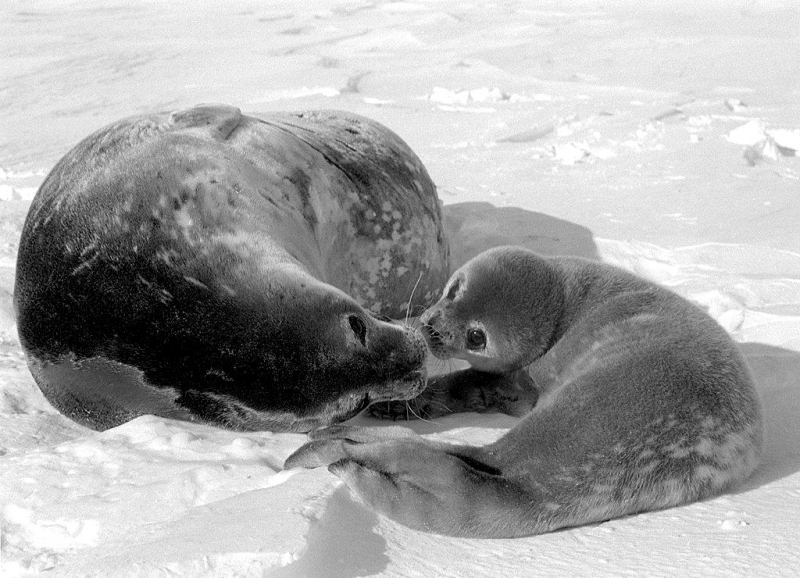 Females become sexually mature at 2-4 years of age, while males can reproduce for the first time between ages 3-4. 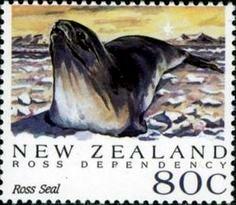 Ross Seals mate in early December, but implantation is delayed until early March. 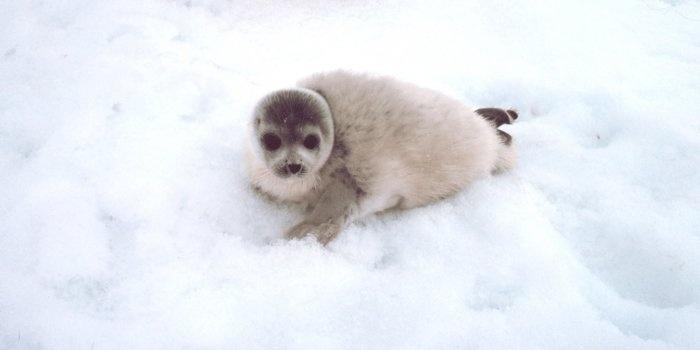 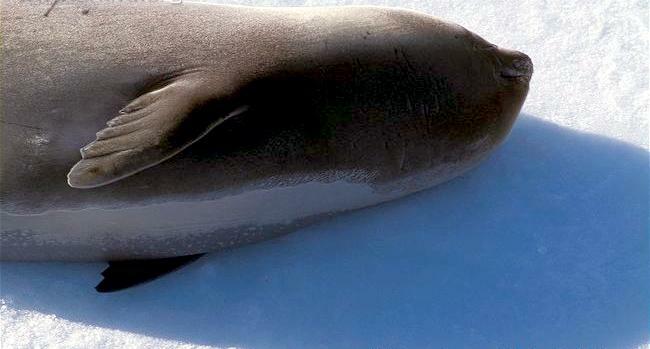 Pupping season occurs in early November, after a 9 month gestation period. 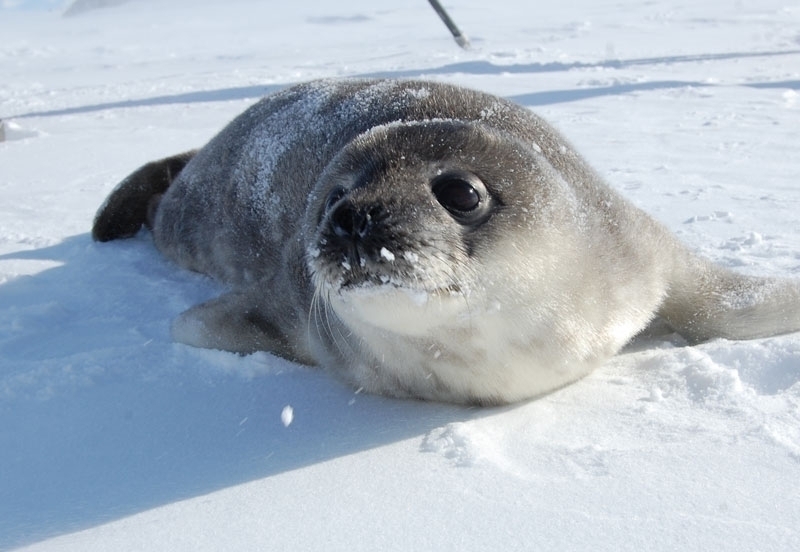 A typical male weighs 16.5 kg at birth & nurses for 4-6 weeks. 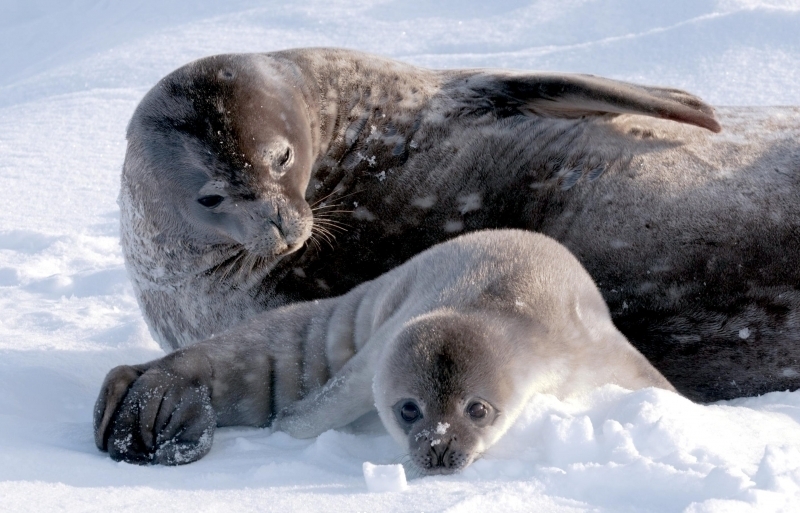 Weaning is complete around mid-December, approximately 6 weeks after birth. 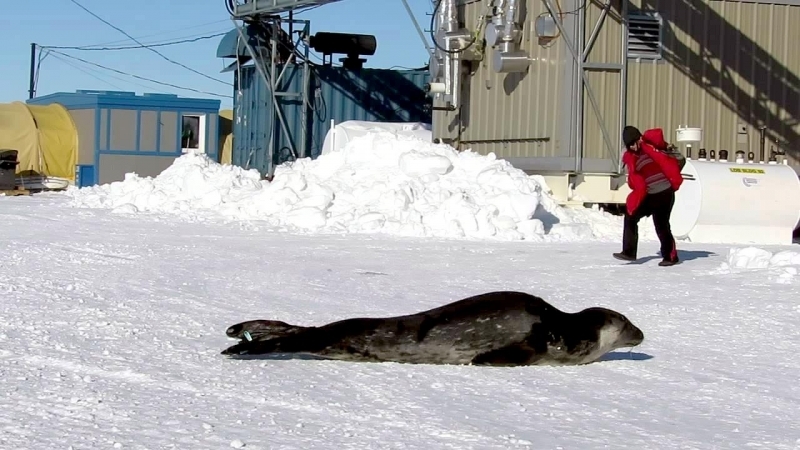 After 15 days of nursing pups reach a weight of about 75 kilograms. 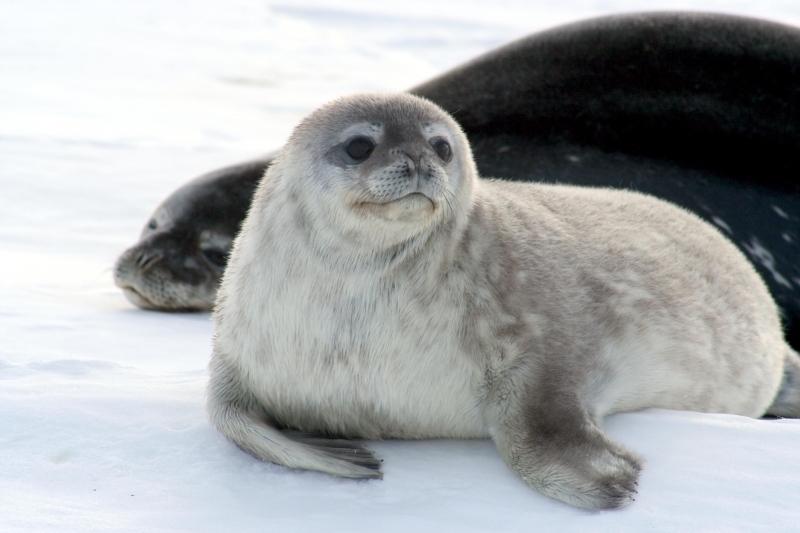 Young Ross Seals develop quickly once born, gaining weight rapidly from their mother’s rich milk. 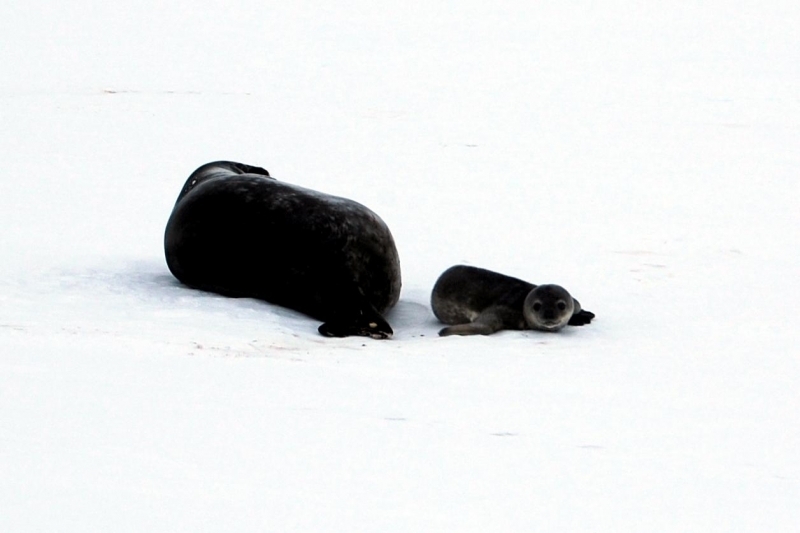 Once they are weaned, they become independent from their mother. 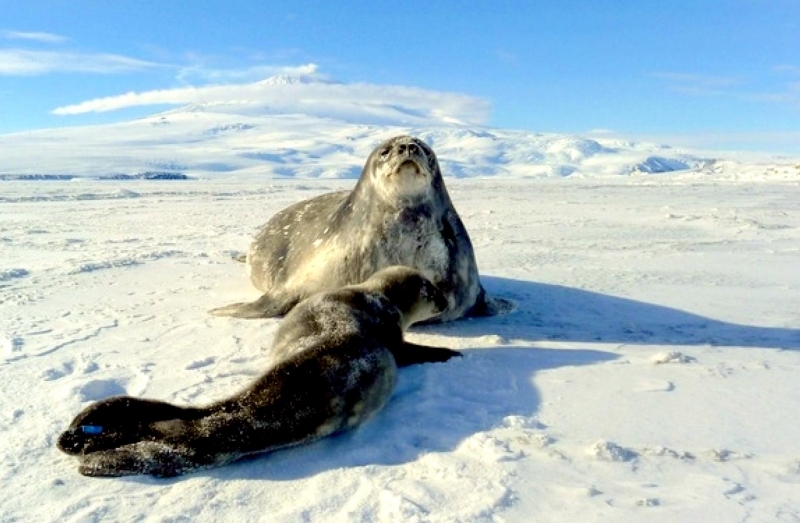 Males have been known to reach 21 years, while the oldest female known was 19 years old. 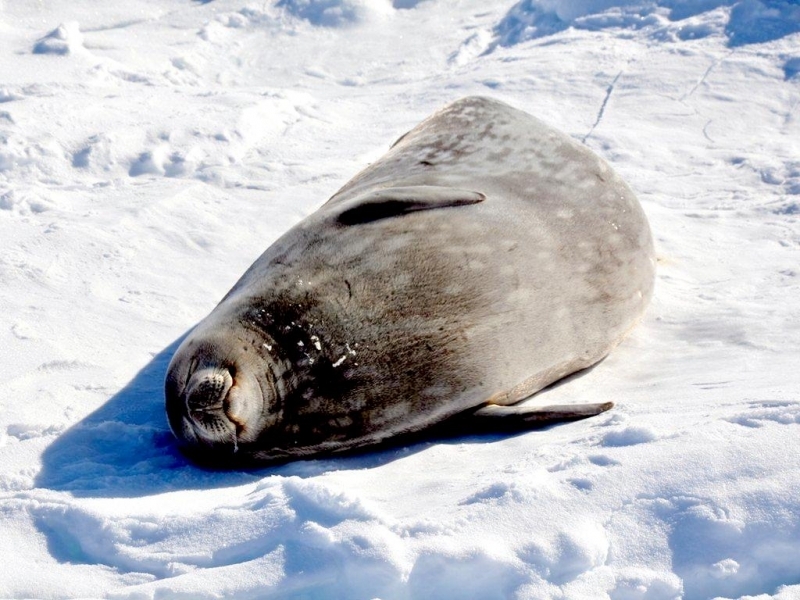 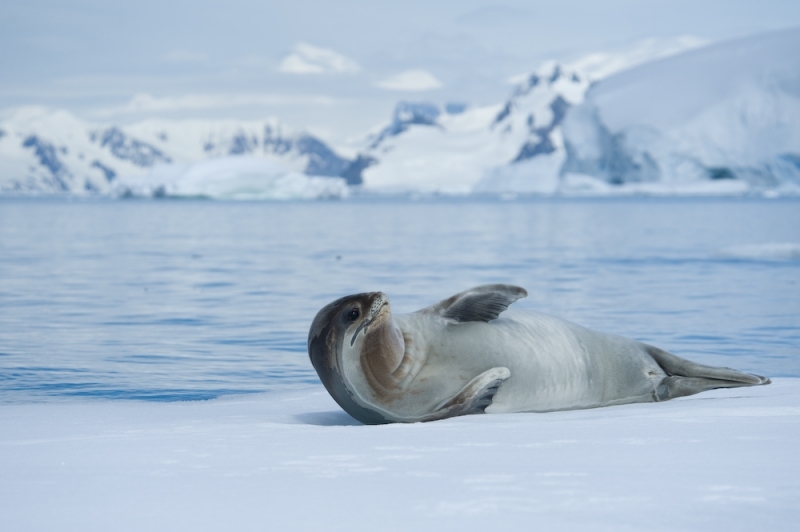 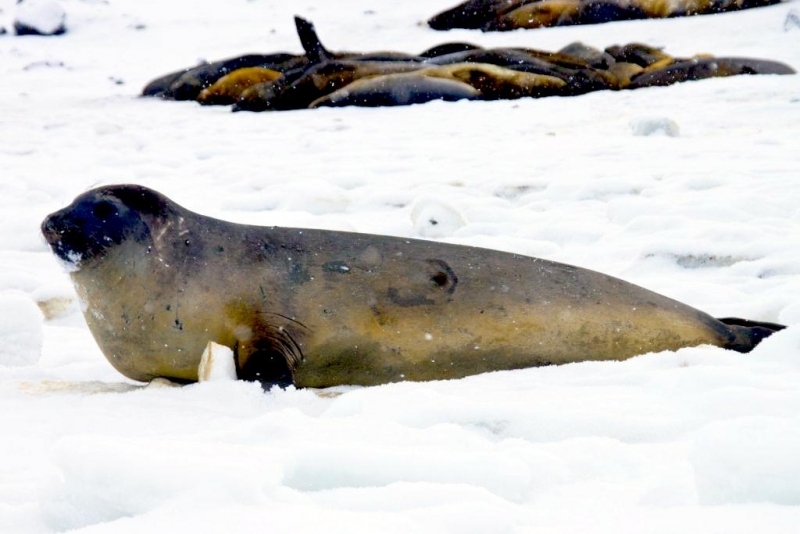 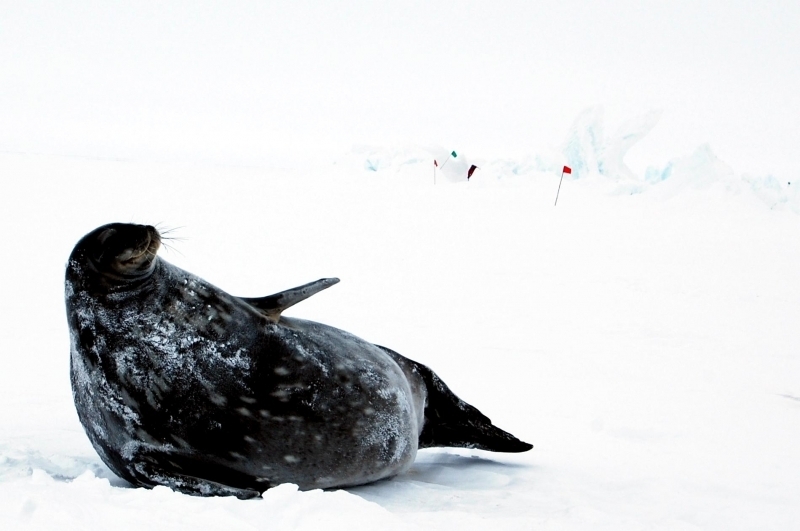 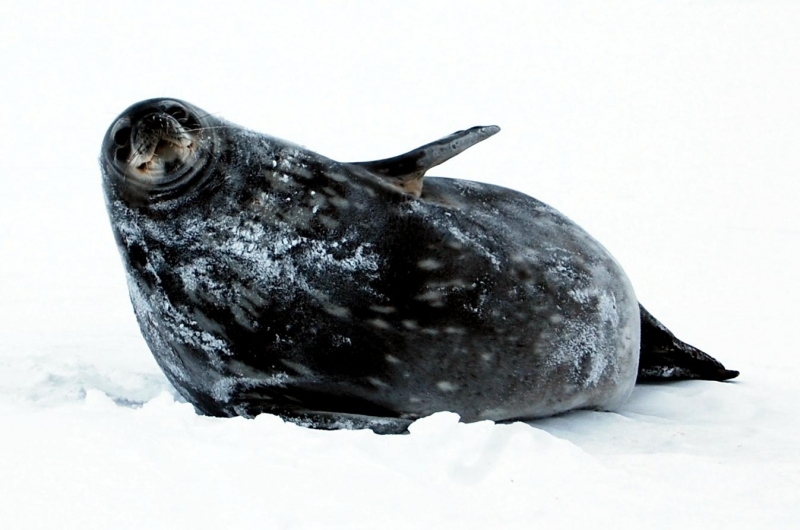 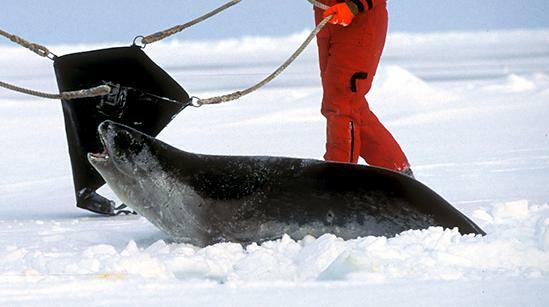 Ross Seals are thought to be solitary & sparsely distributed across pack ice habitats. 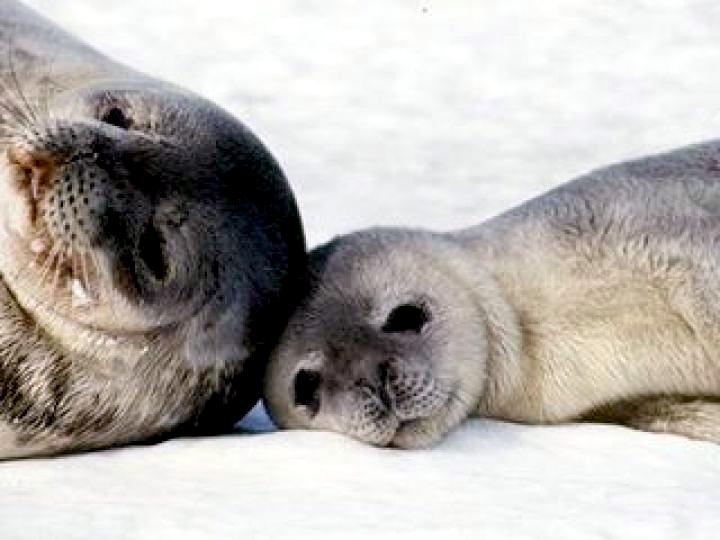 This is because only 3%-9% are seen in pairs. 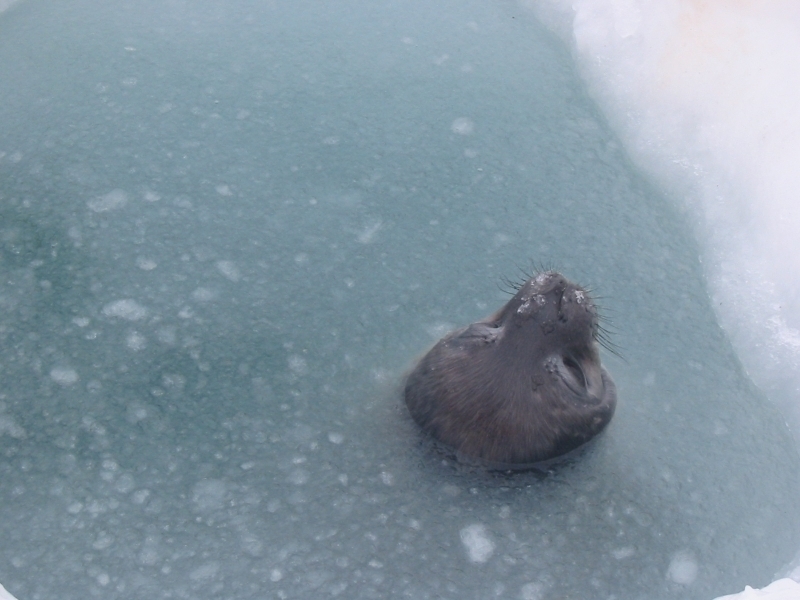 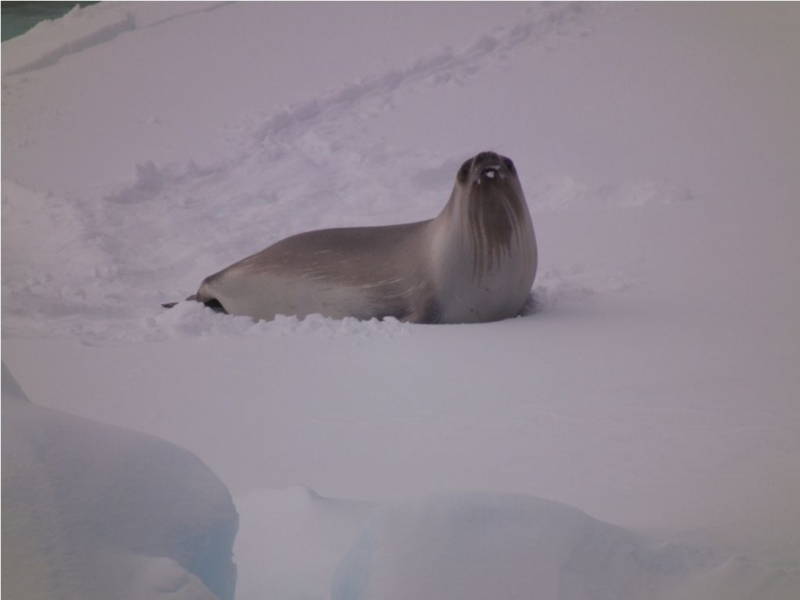 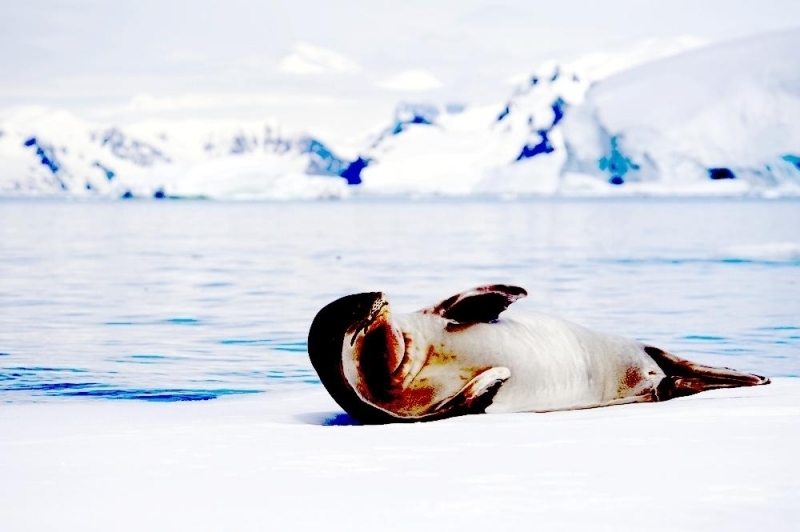 However, it is thought that they may be more social than they appear because lone seals on ice are often associated with diving seals beneath the surface of the ice. 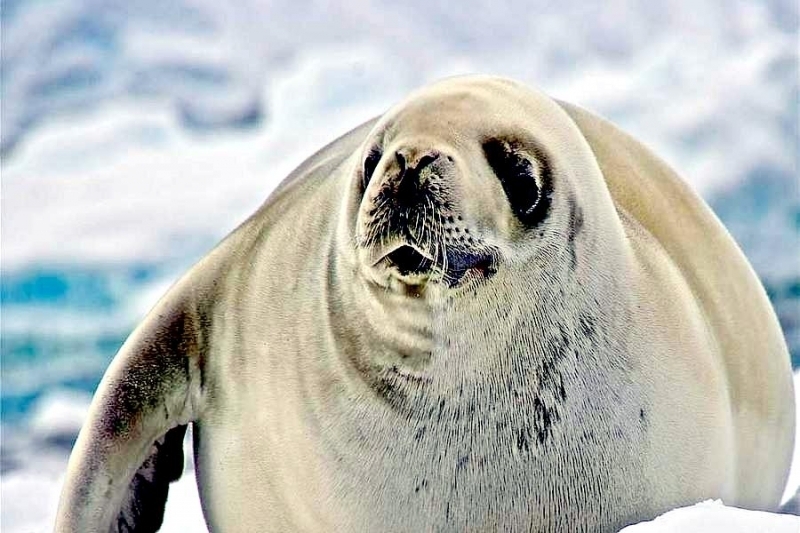 Ross Seals may establish territories underwater through vocalizations and use vocalizations to communicate with other seals. 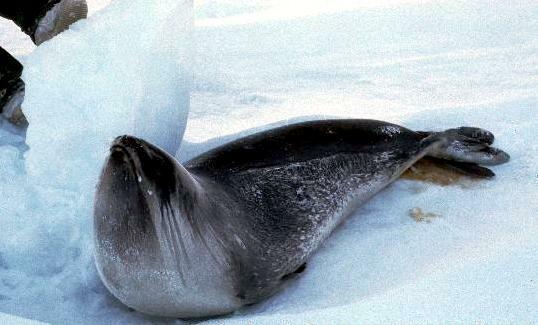 Squid beaks & fish remains have been found in the guts. 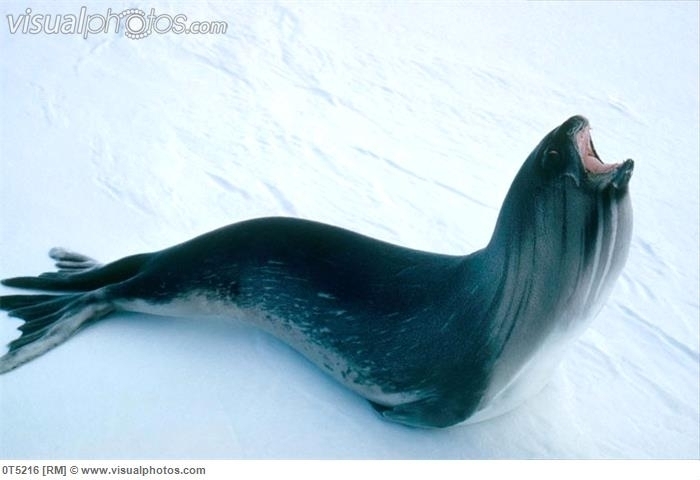 Studies have shown the diet to consist of approximately 64% cephalopods, 22% fish and 14% other invertebrates. 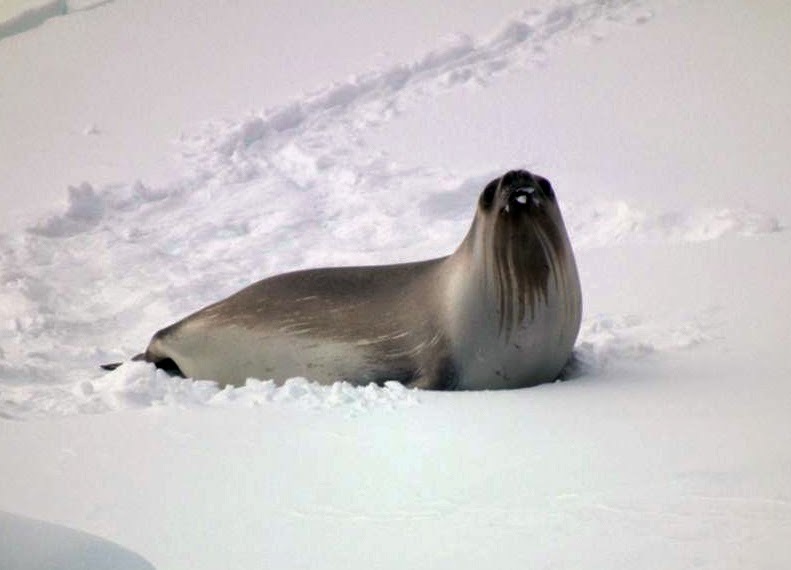 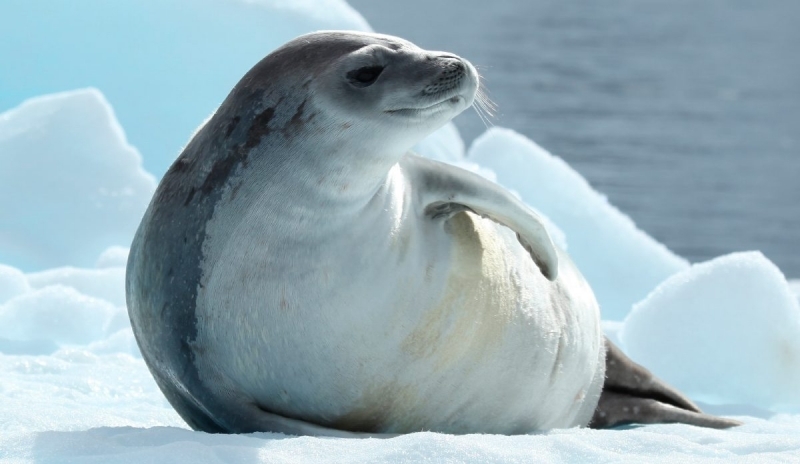 Ross Seals are thought to have no predators since typical seal predators such as Killer Whales & Leopard Seals are rarely found in habitats utilized by Ross Seals.